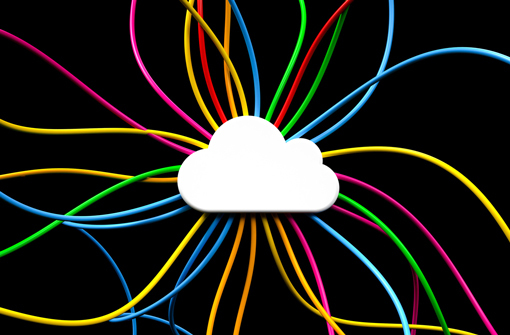 In this article our experts reveal some of the lesser-known features of the cloud. It is vital that when you are looking for a cloud solution, you look beyond the initial and monthly fees. While these may look attractive, this price could be for the lowest amount of storage and for a very small number of users. Make sure you thoroughly research your solution and provider before committing, to ensure you don’t find yourself needing to upgrade to pricier solutions further down the road. The cloud is tied to a physical location – meaning it is still vulnerable to disasters. Even though the cloud’s services are virtual, the data centre itself is still vulnerable to natural disasters, power outages and physical attacks. Properly researching data centres and solutions will reduce the risk of disaster. Make sure you select a provider that has good physical security and backup, lessening the chances that you will lose all of your data. One area where the cloud really excels is in disaster recovery, as a solution provider can offer you multiple backups at little to no extra cost. For example, an ‘any agent anywhere’ functionality will allow your agents to log on from anywhere with internet access (another floor, office or even from home) if their main connection is lost – and can expect the same security as would have been received in the office. It is possible to deliver cloud contact centre benefits over your legacy infrastructure and traditional phone lines. This will allow you to tap into built-in ‘cloud only’ features such as mobile number screening, local and mobile number presentation without a big-bang upgrade. Cloud applications such as call routing software, customer relationship management systems, call recording software and IVR systems can all run alongside existing on-premise systems. This enables you to move your technology and communications infrastructure to the cloud gradually. The cloud can enable agents to be brought in on a short-term basis to handle ‘bursts’, and can even work remotely, offering better agent retention. Contact centres can therefore react quickly to the needs of their customers and support them via any channel, from any device. The most common misconception of the cloud contact centre is that it is an unsophisticated, locked down, out-of-the-box commodity that cannot be tailored to the customer’s specific needs. 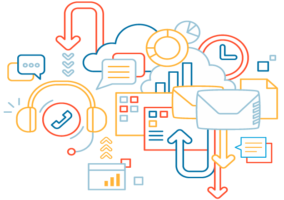 Although many cloud-based contact centres are highly stand-alone, there are cloud contact centres solutions available that actually offer a lot more varied capabilities than you might otherwise have thought. These ‘clouds’ still take advantage of a common infrastructure in order to deliver the scalability, resilience, and low TCO (Total Cost of Ownership) that you expect from the cloud. Yet they utilise bespoke modules of functionality that can be picked and configured according to the customer’s needs – ensuring the platform is integrated in to the other systems that make the agents effective – just as you would with a tailor-made solution. Don’t be fooled into thinking the cloud is a limitation. There is no lengthy implementation process and you get immediate access. Cloud-based solution deployment can take place at your contact centre’s convenience, with minimal disruption and without a lengthy, labour-intensive implementation process. Servers do not have to be purchased and maintained – all you need is an internet connection and you can be up and running within minutes. A reputable cloud solution provider will accommodate your business requirements to ensure that your move to a cloud-based solution is smooth and efficient. Is your data held in the EU? If you are using the cloud to run your call centre, you need to be careful about where the data is stored. For example, the EU Data Protection Act 1998 requires that data for EU-based customers is held at data centres inside the EU. Make sure that your cloud provider complies with this. When making the leap to the cloud, you need to be sure that your data is in safe hands. Look for providers that have the key certifications, for example SOC 1 Type 2, ISO 27001 and PCI DSS Level 1. A good cloud provider will use industry-strength backup and disaster-recovery processes – and put their money where their mouth is with an uptime guarantee. Traditional software companies typically have a big-bang release once per year. Whether installed on a server on your own premises or hosted externally, the system will need to be taken down to install the new version. This can be time-consuming, disruptive and can require expensive hardware upgrades. A true cloud vendor, however, is constantly delivering enhancements, which are installed and tested seamlessly without users needing to lift a finger. There are a number of different ways of describing cloud contact centre solutions. In the early days, some vendors simply moved their ACD equipment (that would usually sit on a contact centre site) into a data centre and then offered various contact centre applications to customers on a utility basis (you only pay for what you’ve used). It was still the traditional ACD equipment, but sold to you in a different way. This was often dressed up as a way of reducing cost and in-house IT management overheads – and calling it ‘cloud’ is somewhat disingenuous. True cloud solutions – designed as web-based solutions and accessed via a web browser from anywhere with no applications to download – not only offer ‘pay per use’ billing but solve a number of other challenges too. The contact centre and CRM applications are usually mentioned in the same breath, but they’ve been notoriously difficult to integrate and synchronise. However, many cloud contact centre solutions offer standardised connectors that make the integration with CRM solutions relatively straightforward. In addition, with more standard web connectors, they can integrate with applications such as WFM, knowledge base tools, agent video and screen sharing. The cloud can give your contact centre the flexibility to add agents and change functionality, while also enabling homeworking and remote teams. Cloud-based Software-as-a-Service (SaaS) applications are based on a shared server. This may be a cause for concern where data and privacy are of paramount importance. Spikes in network traffic volumes can have a very detrimental impact on any real-time cloud-based contact centre applications and potentially disrupt the customer’s experience. Many organisations have to upgrade their existing local area network (LAN) and wide-area network (WAN) infrastructures before a cloud-based application can be effectively deployed. As soon as you invest in on-premise technology, you have to think about what you’ll do when it reaches the end of its life. In other words, when it’s so old your supplier will no longer guarantee to maintain it, and you need to make another heavy capital investment to update your technology. With cloud solutions, you’re always up to date with the latest version of the product you’re using, meaning your company is always benefiting from improvements and new features, without having to make any updates yourselves. With cloud technology, it doesn’t matter how many offices you have or where they are. There’s no need to install any contact centre equipment in any of your offices, so this saves you money and makes it easier to focus on running your business rather than managing technology. It’s only natural that customers prefer companies offering the best service. For example, if you want to book a holiday and you get straight through to an operator, you’re more likely to book than if you have been kept on hold for 20 minutes. With cloud technology, you can easily refine and modify the way you handle calls, generating a more personalised caller experience. You can identify previous callers and route them through to the correct agents to resolve their query or close a deal. For example, insurance companies can prioritise customers who call during the month before their renewal. This kind of smart call processing increases sales and reduces abandon rates dramatically. One less-established feature of the cloud is the call tracking and analytics system that can link your customers’ website visits with their enquiry calls and sales. By linking the agent to the caller with additional information and giving automated insight into the source of your enquiries and sales, you can inform both point-of-sale service and marketing campaign planning. A further feature this unlocks is the automated ability to allow screen sharing between the agent and caller, as well as to enable the agent to take over the web session to guide the caller to specific features or alternative products to conclude the enquiry successfully. ‘Keypad payment by phone’ technology can work ‘in the cloud’ live in conversation with the agent. Alternatively, it can be IVR-driven for customer self-service (e.g. to pay bills, or subscriptions, donations or balances due). This works in the cloud for both contact centres and homeworkers – who are otherwise difficult to make PCI-secure, by nature of their unsupervised working environment which cannot therefore be ‘clean-roomed’. Cloud contact centre software provides a business with the licenses they need, when they need them. And when they don’t need the licences any more, they can be removed just as easily. For retailers and other companies who need to adapt to rapid customer-demand changes, this scalability is essential to ensure operational and financial effectiveness. A cloud solution allows the company to purchase a small number of licences and then seamlessly add additional ones as the business grows and demand increases. Alongside this, cloud-based software also allows these small businesses to start with basic functionality and as they grow they can seamlessly “turn on” new features via the cloud. This flexibility and scalability avoids high costs and complex system integration, allowing the contact centre software to scale alongside the business. Do you think we’ve missed anything?